Renault India has updated the Kwid range with new features as a part of 2019 update with prices starting from Rs 2.66 lakh, ex-showroom, New Delhi. While Renault has updated the safety and convenience feature list of the 2019 Kwid, the prices have been left unchanged. The updated feature list includes ABS (Antilock braking system), EBD (Electronic brake distribution), driver airbag, driver and co-driver seat belt reminder and speed alert system that are being offered as standard across all variants. 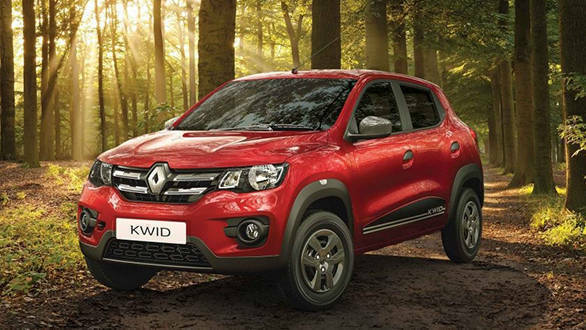 Renault India dealerships have already started taking bookings for the 2019 Kwid and the deliveries are expected to begin shortly. Mechanically, the 2019 Renault Kwid retains the two engine options, 0.8-litre and a 1.0-litre three cylinder engines that produces 54PS and 67PS respectively. Both the engines are available with an option between five-speed manual or an AMT. The updated hatchback also gets traffic assist in the AMT, a feature allows the vehicle to crawl forward in slow moving traffic and also prevents it from rolling back on inclines. The updated Kwid hatchback competes with the likes of the Tata Tiago, Datsun Go, Maruti Suzuki Alto, Datsun Redi-Go, and the Maruti Suzuki Alto K10. 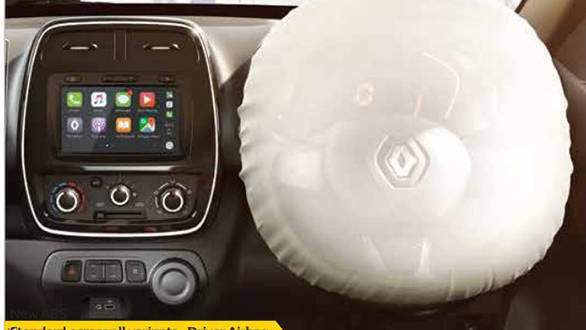 It is already known that all the new cars sold in India from July 1, 2019 will come equipped with a driver airbag, a speed warning system, a seatbelt reminder for driver and co-driver and rear parking sensors as standard. This will be followed by more stringent crash test norms by October. Finally, April 1, 2020 onward, all cars will have to meet the significantly more demanding BSVI emission norms.